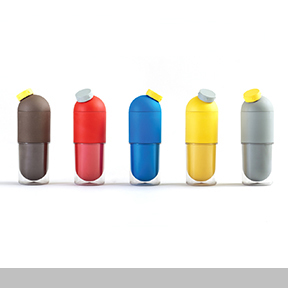 Public Capsule is a water bottle made of biodegradable plastic derived from corn starch and coffee grounds. This product is also associated with a campaign for Africa. Even now Malaria kills an African child every 30 seconds. For each purchase of Public Capsule, antimalaria pills will be provided to those in need.